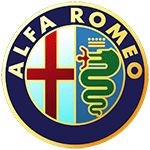 In June 1910 the first ever car created was the 24 HP (ALFA) designed by Guiseppe Merosi, then 5 years later the property was taken over by Nicola Romeo thus forming the name Alfa Romeo. From the compact Alfa Giulietta and Mito models, through to the new Giulia and the Stelvio SUV, we stock a full range of towbars and towing electrics to fit your Alfa Romeo. 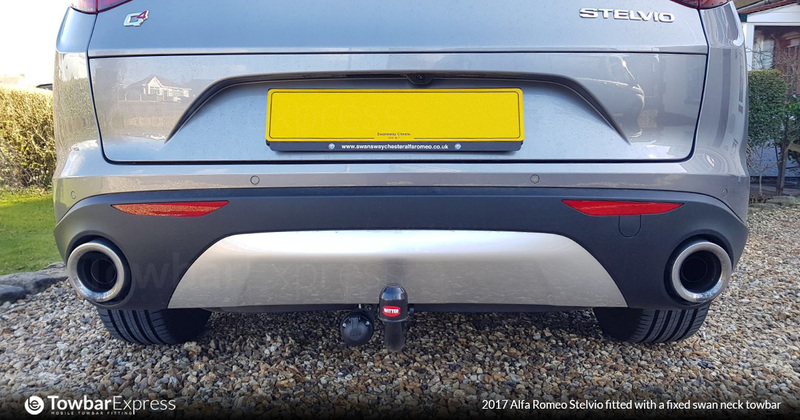 All of the towbars that we fit are mounted to the fixing points as specified by Alfa Romeo and are Type Approved where appropriate. 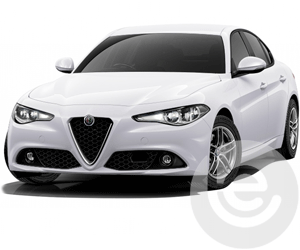 The Alfa Romeo’s Giulietta has a light and rigid structure created from materials such as aluminium and high strength steels which makes it perfect for towing and is available in both fixed and detachable flange and swan neck towbars. The Alfa Romeo’s Giulia is Alfa’s new competitor to the BMW 3-Series, Mercedes C-Class, and Audi A4. It's a mid-size saloon with an all-new rear-wheel drive platform in which Alfa (or parent company FCA) has invested billions in a quest to take Alfa from sales of £75,000 per year to £400,000 within three years. The same platform will also underpin the new Stelvio SUV. 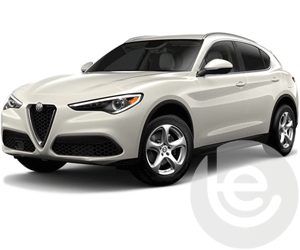 The Alfa Romeo’s Stelvio is named after one of the most famous roads in the world, the optimistically titled Stelvio is Alfa’s entry into the ever-growing SUV market. It will be a direct competitor to cars such as the VW Tiguan and Audi Q5. 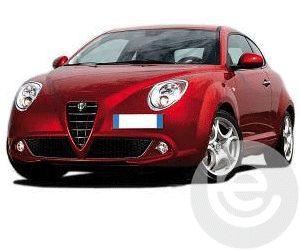 We stock a full range of towbars and towing electrics to fit your Alfa Romeo Giulietta. We stock a full range of towbars for your Mito including both fixed and detachable tow bars. The Alfa Giulia can tow up to 1600kg with a noseweight of 100kg making it a versatile tow car for most applications. All towbar prices shown on our website include fitting at your home or work by our own installers. 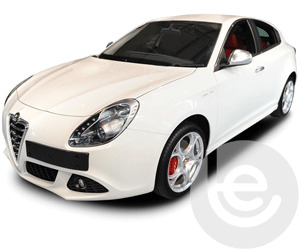 To find the towbar fitting price for your Alfa Romeo, simply select your model below. Which towbar for your Alfa Romeo? 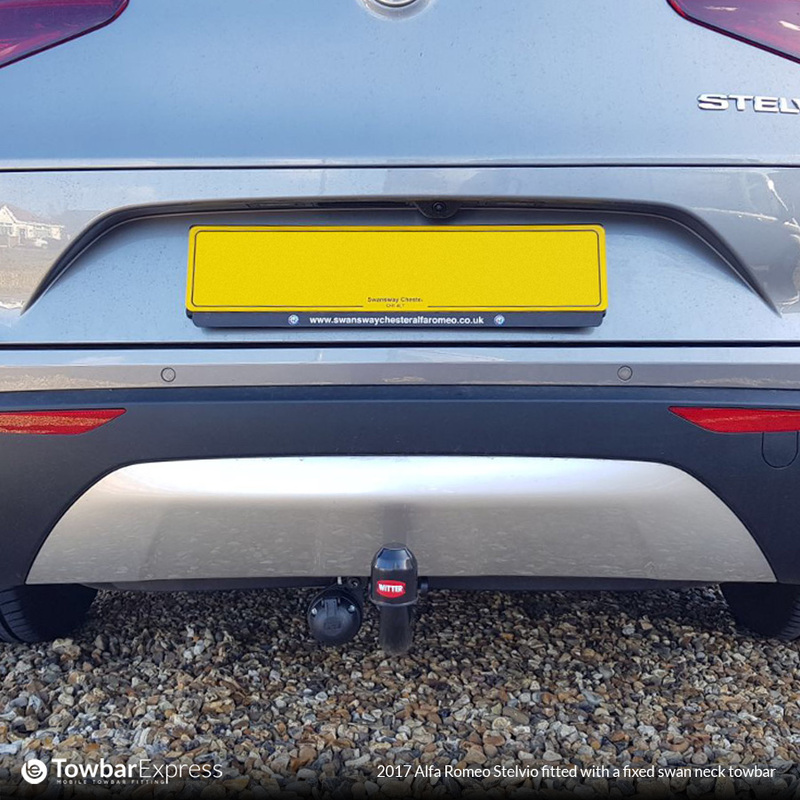 We are experts in our field and the price you see for your Alfa Romeo tow bar is the complete price that you pay for the tow bar, towing electrics and most importantly the complete installation. All our Alfa Romeo tow bars are 100% guaranteed and are installed by one of our fully trained technicians, with full technical support and our helpful office staff we are the number one company to install your tow bar. 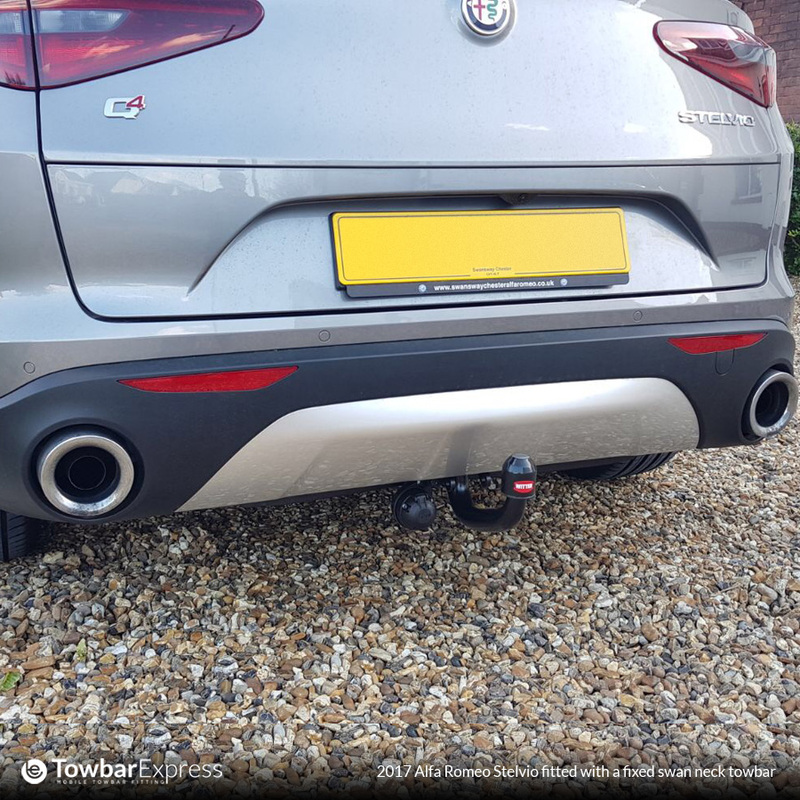 Our gallery of Alfa Romeo Towbar installations shows the wide range of recent fitted tow bars by one of our team. On Facebook? You can also view a gallery of towbars fitted to Alfa Romeo cars here. 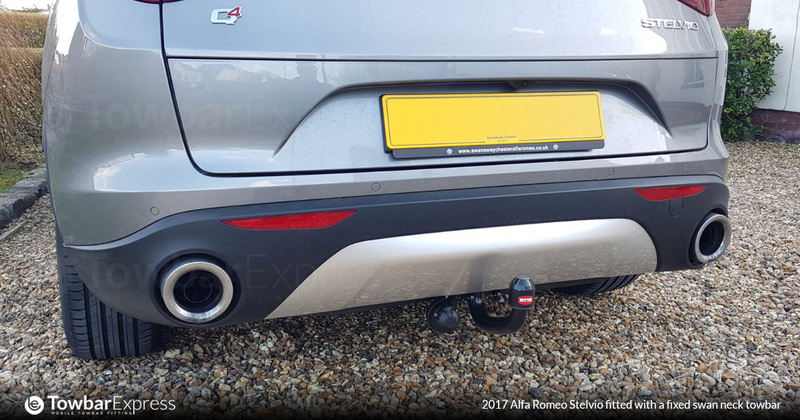 Our Facebook site showcases a range of Alfa Romeo Towbar fittings for all Alfa Romeo models, which we have fitted to in the past. 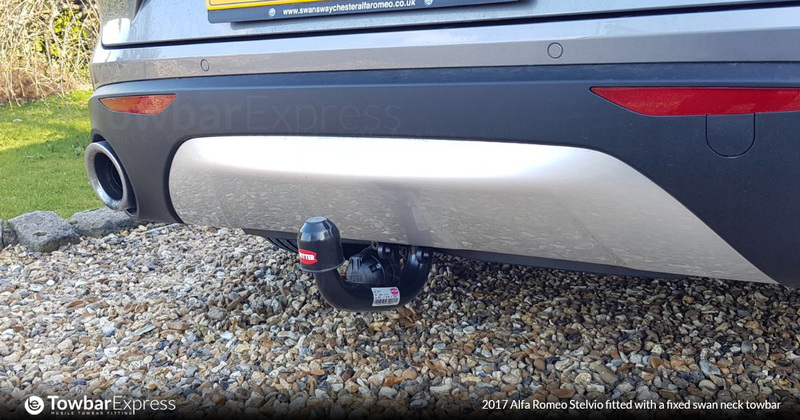 This functionality extends to the tow bar wiring which allows Alfa Romeo’s built in safety features activated, Trailer Stability Control, Parking aids are disabled while towing to work seamlessly with your trailer or caravan attached. 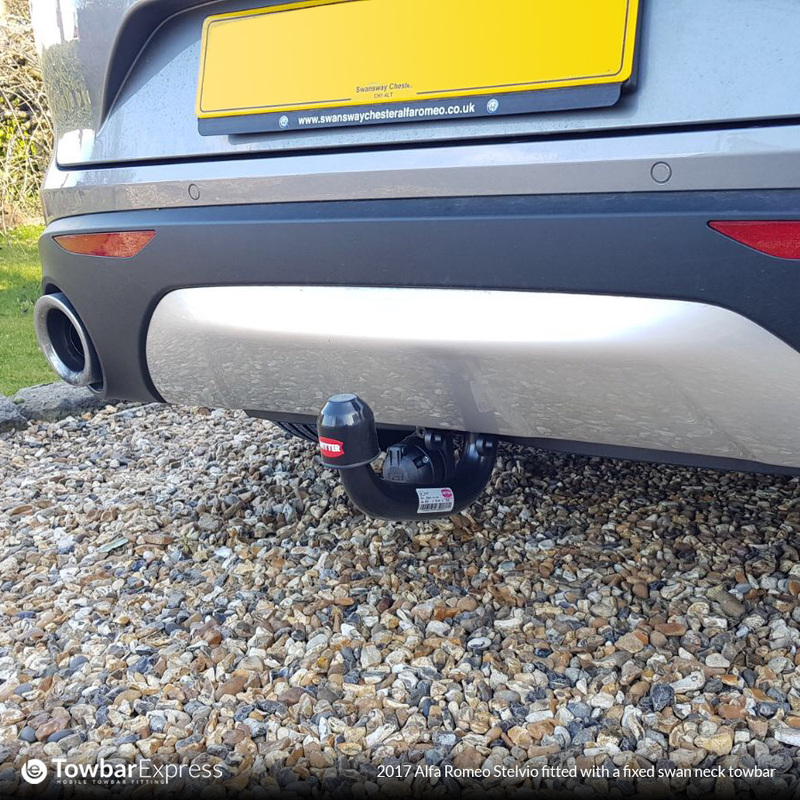 Why choose Towbar Express for your Alfa Romeo towbar installation?